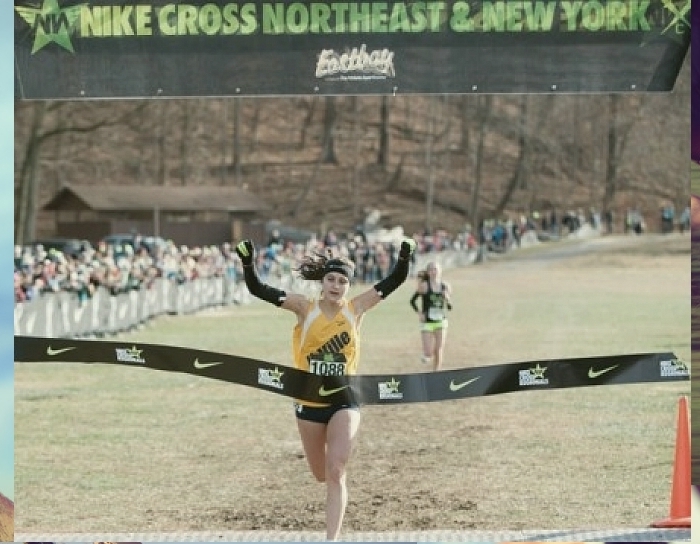 Unionville’s Courtney Smith breaks the tape to win the individual championship at the Nike NXN Cross Northeast Championships, Saturday. Smith and her teammates also won the team championship and will head to Portland to compete for the national title, Saturday. The top-ranked Unionville High School girls cross country team proved itself best in the state two weeks ago, and then outran teams from the entire northeast, winning the Nike Cross Nationals at Bowdoin Park in Wappingers Falls, N.Y. Now, they’ll be heading to Portland to compete for the title of top cross country team in the entire nation, Saturday. Led by senior Courtney Smith — the overall winner of last Saturday’s race, which featured the top runners and teams from Pennsylvania, New Jersey, New Hampshire, Massachusetts, Vermont, Maine and Rhode Island — the top ranked Indians won the overall team title. And while Smith’s win was impressive, Unionville placed five runners in the top 60 — out of 231 — including Olivia Young taking home fifth place, Kacie Breeding ninth place, Gretchen Mills 20th and Emily Fisher 60th — showing why many observers think Unionville is the top team in the nation. 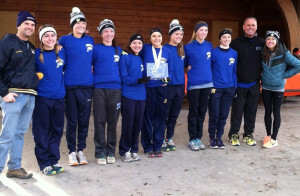 The Unionville High School girls cross country team and coaches enjoy their northeast title — and now will go to Portland to attempt to win the national girls cross country title. The race will be run on the Portland Meadows Course — on the infield of the horse racing track there — which features a 3,000-seat grandstand for spectators. 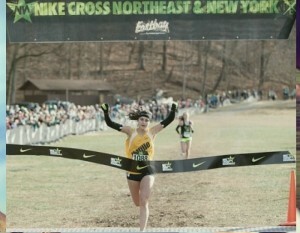 The Nike Cross Nationals is made up of eight regional qualifying meets and the national finals in Portland. Following in the tradition of European cross country meets, the nationals event will again feature a multiple loop race course with man-made obstacles built on the inside of the horse race track at Portland Meadows in Oregon. 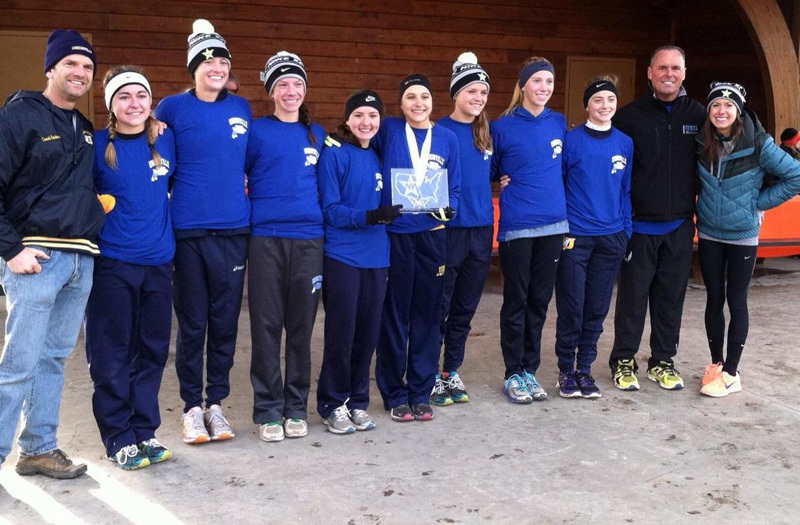 This is a great accomplishment for the Unionville cross country teams, both boys and girls. The big name sports get the ink as they “try” and maybe win their division, and make it to “states”. This team is #1 in the nation!!!! Pretty damn impressive and kudos to all involved.